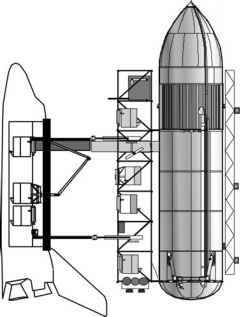 Unless the Isp of the propulsion system can be drastically raised (say, from the 103 s typical of nuclear thermal or current ion electric propulsion), the initial mass of the ship would be completely dominated by propellant mass, and the thrust to ensure 1 ''g'' acceleration would, accordingly, be just as immense. Thus, mass-frugal means to power such acceleration must be found. Alternatively, any such propulsion system must have a much higher Isp than discussed so far. Stellar or quasi-interstellar missions using Newton's Third Law are doubly constrained: at constant speed, they take too long; at constant acceleration, they need large thrust and propellant mass. They may become feasible only for Isp much larger than those seen in Chapter 7.